In our comfortable treatment room, the doctor places specialised applicators with a vacuum-absorbing effect on the spot you want to be treated. Your skin is first heated and then gradually cooled. 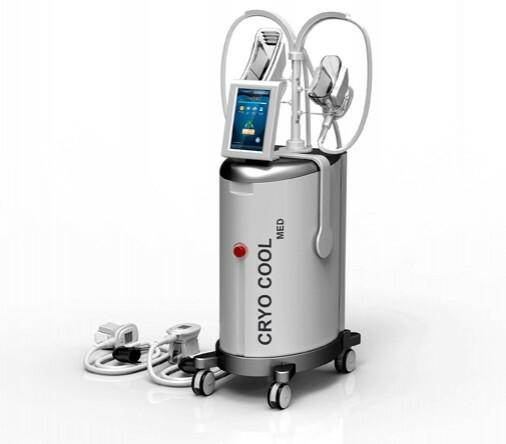 Cryolipolysis, or freezing your fat cells, is an effective treatment for the correction of your figure. It is the perfect method if you want to lose fat that does not want to disappear with sports or dieting. Cryolipolysis is painless and safe when you have it done by an experienced doctor. At Cosmetic Center Curaçao we work exclusively with high-quality equipment and specialized doctors so you are assured of an effective and safe treatment. In our comfortable treatment room, the doctor places specialised applicators with a vacuum-absorbing effect on the spot you want to be treated. Your skin is first heated and then gradually cooled. Through accurate and controlled cooling, energy is extracted from the underlying adipose tissue while protecting your skin, muscles, nerves and other tissue. With this treatment, your fat cells are cooled to a chilly -15 degrees, which breaks them down so they can be naturally drained through the body. This all happens fairly slowly so that your skin has time to recover. The first result of your treatment is already visible after 3 to 4 weeks and you will see the final result after approximately 2 to 3 months. The breakdown of your fat cells is definitive, therefore the result of the treatment is permanent and comparable to liposuction. Cryolipolysis is suitable for men and women who are healthy and have a normal BMI. The treatment lasts about an hour after which you can continue with your daily activities. During a personal meeting with one of our medical specialists, we would like to inform you about the possibilities. In consultation with you we make a treatment plan, after which you can go almost immediately for your cryolipolysis treatment.